Prominent & Leading Manufacturer from Ghaziabad, we offer connecting rod boring machines. We manufacture, supply and export best quality Connecting Rod Boring Machine. Known for their energy efficient design, low maintenance and long operational life, these connecting rod boring machines are used for enlarging a hole that has already been drilled in various industrial applications. 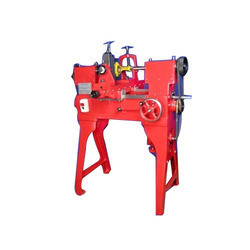 These machines are easy to operate and require minimum maintenance. Our Connecting Rod Boring Machines are easy to instal & easy to work. Breadth Inches 10 1/2 "
Capacity of job Inches 16"
Cross slide travers Inches 2"
Looking for Connecting Rod Boring Machines ?